At Cypress Springs Family Dentistry, we’re proud to be able to provide all of your family’s dental needs under one roof. We know that getting to know your dentist is important, and that you wouldn’t entrust something as important as your oral health to just anyone. That’s why we appreciate your trust in us, and are happy to offer specialty services like oral surgery and sedation options to help you get the care you need from the comfort of your dental home. While extractions may have gotten a bad rap over the years, we want to assure you that with today’s advances in modern dental techniques and technology, extractions are a fairly routine and painless procedure with faster healing time than ever before. Dr. Todd will go through all of the details of the procedure with you and address any questions or concerns you may have. You will receive special post-op care instructions to ensure the fastest and most comfortable recovery. 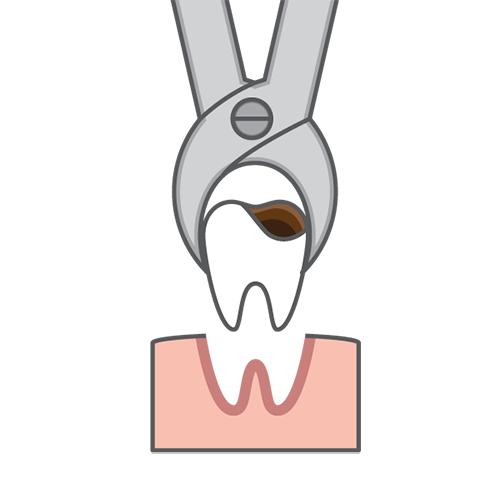 As extractions require sedation, you will need to arrange for transportation to and from your appointment. Did you know that millions of Americans suffer from some form of dental anxiety that prevents them from seeking the dental care they need? At Cypress Springs Family Dentistry, we know that coming to the dentist – especially if there is oral surgery involved – is not on the top of anyone’s list of fun things to do. That’s why we’re proud to offer sedation options to help you get the care you need, comfortably. Oral conscious sedation comes in the form of a prescription pill, prescribed by Dr. Todd, that you will pick up at your local pharmacy and take about an hour before your appointment. This will help you feel calm and relaxed during your appointment. While some patients may relax enough to drift off to sleep, you will generally remain awake and able to respond to the doctor throughout the appointment. N2O is generally referred to as ‘laughing gas’ that you breathe through a small mask. N2O smells sweet and pleasant and creates feelings of well-being, calm and tranquility. Some patients experience a feeling of euphoria, and may even get the giggles. You will generally remain awake and able to respond to the doctor throughout your appointment. With any form of sedation, or any oral surgery procedure, you will need to arrange for transportation to and from your appointment. If you are in need of a skilled and compassionate oral surgeon in Cypress, Texas, or you have any level of dental anxiety, you’ve come to the right place. If you have any questions about oral surgery or sedation dentistry, contact your Cypress dentist – Dr. Kyle Todd at Cypress Springs Family Dentistry – today by calling (832) 593-7400 or scheduling a visit online.